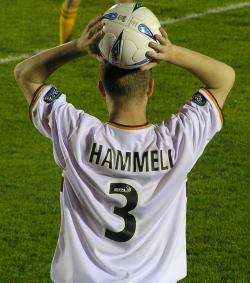 Stevie Hammell’s decision to move from the pitch to the Director’s chair at Motherwell’s Academy has unleashed a torrent of much deserved praise for our long serving left back. Will we ever see his likes again? 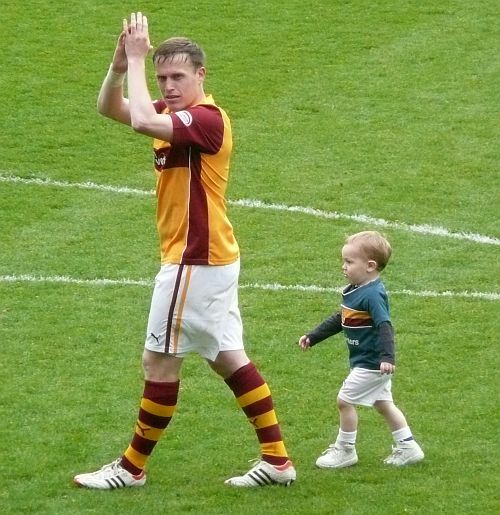 His commitment as a player will end after the four matches in January so there is a chance that we will be able to salute our number three if he is given the opportunity to extend his remarkable 582 appearances in claret and amber. 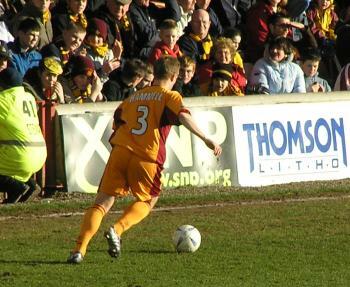 His 20 year association with Fir Park puts him in a category of professional footballers that has all but disappeared. Apart from an 18 month spell south of the border he has been a one team player. Sadly, similar examples of such long term loyalty are rarely seen and it will require a stretch of the imagination to see his record equalled. His longevity in the top flight of our game is testament to his consistency. Billy Davies was first to play Hammy in the first team and since then Black, Butcher, McGhee (twice), Gannon, Brown, McCall, Baraclough and Robinson have all found a place for him in their teams. His industry and conduct throughout has earned the respect of the fans. Our left flank will seem strangely bare without his presence. As Project Brave gets off the ground the job of Academy Director has a greater import. The commercial welfare of the club will be affected by the production of our own players and the young prospects can have no better role model than the newly appointed chief. We wish Stevie every success in this new service to the club and offer grateful thanks for his contribution on the pitch. Let’s hope we have an opportunity to see him at least one more time before he hangs up the boots.